Looking for a Kangal Dog? What are your reasons for wanting a Kangal dog ? Did you complete your research regarding the breed ? Have you explored all the pros and cons ? Are you up for a challenge of owning a livestock guardian? Do you have the time, commitment & resources needed (energy, space, veterinary care, funds, proper fencing)? How is your personality going to fit with the independent nature of the breed? Are you aware of the supports you can access in your area: a responsible breeder, a local Kangal Club? Bonjour Isabelle, j’aimerai bien savoir si tu as trouvé finalement un éleveur de kangal au Québec. nous sommes propietaires de 3 kangals que mon mari est allé chercher en turquie.si vous etes encore interessée contacter nous. Je demenage dans une ferme en juin et je planifie d’acheter des brebis. Est-ce que vous auriez des chiots disponibles en ete ? J’ai aussi entendu qu’il n’est pas tres facile de sortir des kangals de la Turquie, est-ce que c’est vrai ? Merhaba murat hala, kngal yavrusu ariyormusun, ben Fulton,NY da yasiyorum ve gecen hafta 6 yavrumuz oldu, anne ve baba kkopeklerim safkan dir, ilgileniyorsan email at. yada 1-315 5297001 abd den ara. I am interested to adopt a kangal dog to be my comapanion and guard my farm from thieves. I do lived in Philippines. hope someone can help me. si vos recherches pour adopter un kangal ont porté fruit car j en cherche un activement merci! we are interested kangal malakli to China. can we contact mr..Onur Kanli. How much does a male puppy cost. I try too purechase 1 yrs ago but the people move I never saw them again. My cell num 9739300941 I like to have for my family. Hi..I want to know if u have any pure breed kangal puppies…instead of me going to Turkey ? Hi, we plan our next litter of Kangal puppies from Turkish working lines for atumn/winter 2014. If you are still interested, please, let me know at my email. Hello, I’m interested to have a Kandal, possibly this fall or next spring. I would like to know where you stay and how much you sell and if I have the choice of a male or a female. 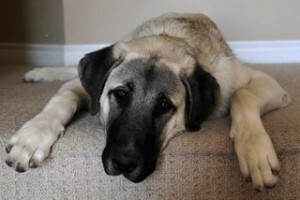 Is here anyone in Ontario selling Kangal? Hello – Ihave a beautiful pure bred Kangal female in US, working very well with our cattle. I would like to find a purebred male. hello,am a sheep farmer in western canada looking for a kangal or kangal cross female puppy to in future support two spayed females guarding sheep in a range situation. I have a farm outside Mission, BC, in the Fraser Valley where I raise sheep, goats and free range poultry. I have had Kangals/Anatolian Shepherds in the past I obtained from a breeder, Ruth Webb outside Spokane, WA. I assume she has passed on and it seems no one took over her operation. She was extremely nice, honest and helpful. Unable to find another breeder in my area, I got Maremmas. They also do a very good job, but due to all our rain their long hair mats to the point you cannot remove the mats. As my female is going on 14 and I just lost one of her male pups at the age of 7, I would like to start a pup as a future replacement, and I prefer the short hair, which is why I am hoping to find a Kangal/Anatolian that comes from working parents. We have as predators black bears, coyotes, bobcats, foxes, cougars along with eagles. Before obtaining livestock protection dogs I had bears killing my sheep and goats in the middle of the day. Thank you. I am very familiar with the breed as I am Turkish origin. I have an Anatolian named Attila from a breeder in the states called Tamoora Anatolians. I currently own 100 Acres of land with dog kennels and 5 acres of seperate dog runs. I am looking to start my own breeding program. My 2 Year old male needs a friend to run and play with. Can you please let me know if you have any Anatolians in need of rescue. ASAP. I may have an interest if you still have her. We have a female kangal, working with our cattle and would like to have a working companion for her. Where are you located? Just looking for advice, love the Kangals and am considering getting one, however I live in town with a smaller yard and three children under 5. I’d be able to walk him every morning in a nearby mountain park, does this type of environment/family work for Kangals? Thanks for any advice you can give.